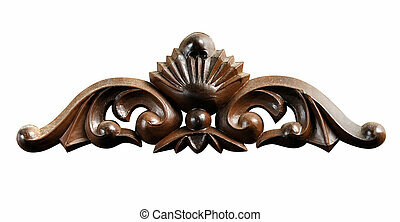 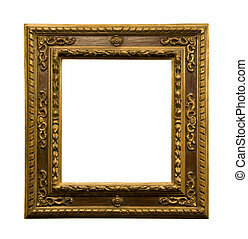 Antique rustic wooden picture frame isolated. 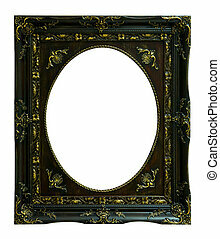 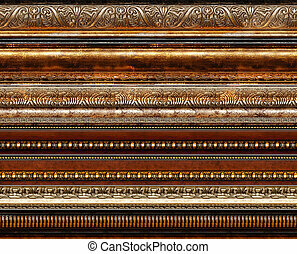 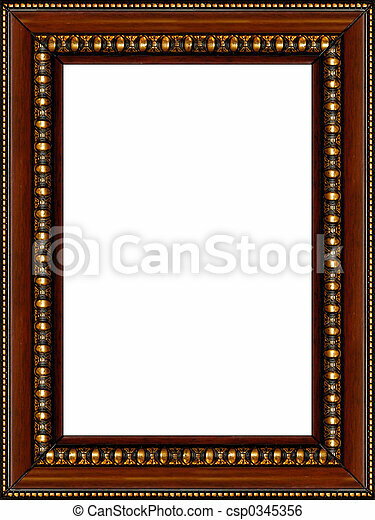 Antique wooden grungy background photo frame with golden pattern isolated vertical border. 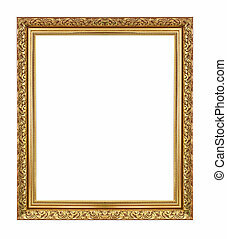 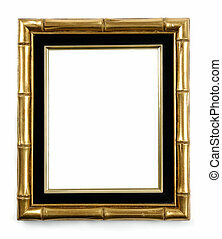 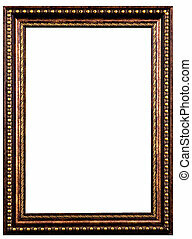 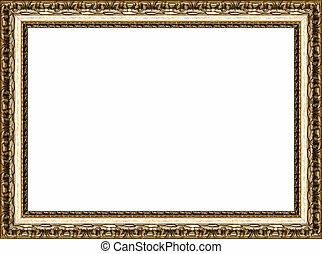 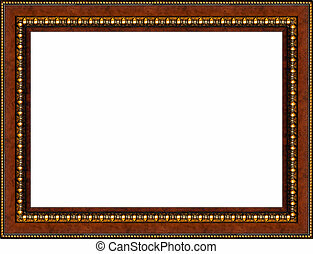 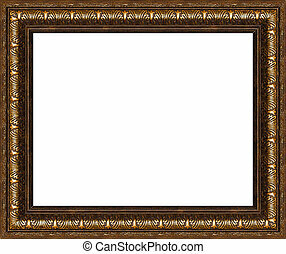 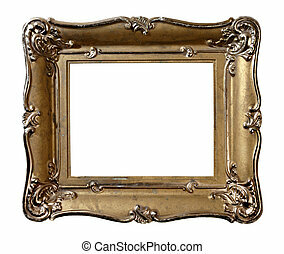 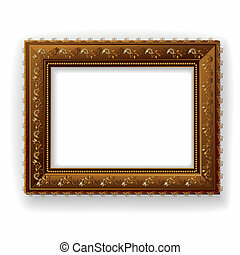 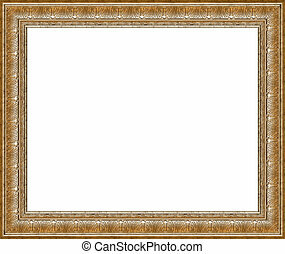 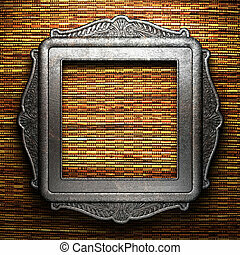 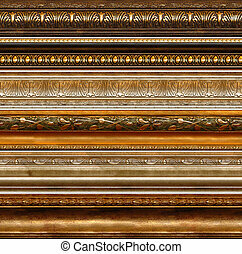 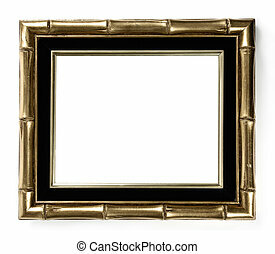 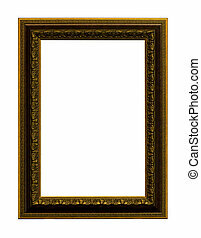 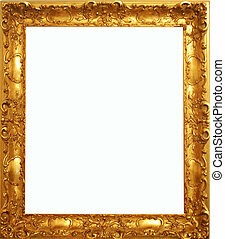 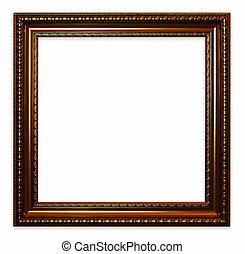 Gold antique frame isolated on white background. 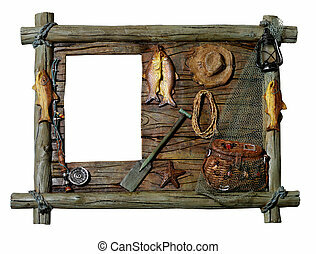 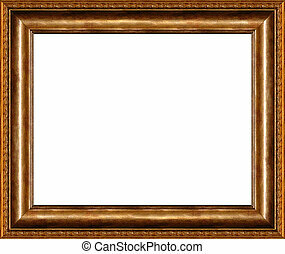 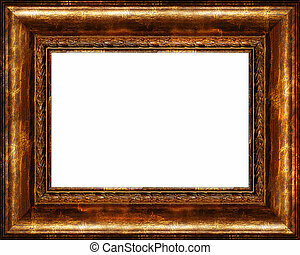 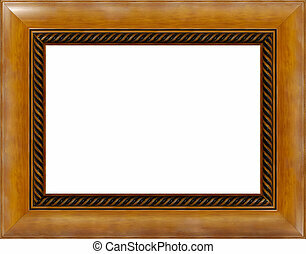 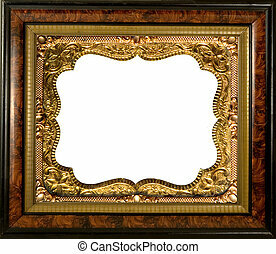 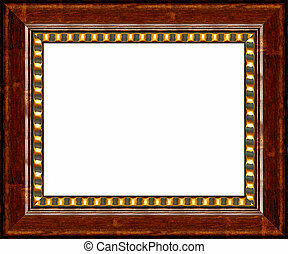 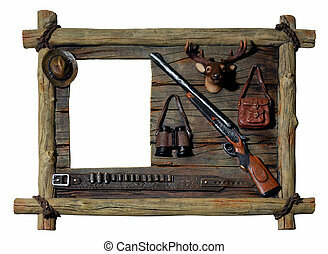 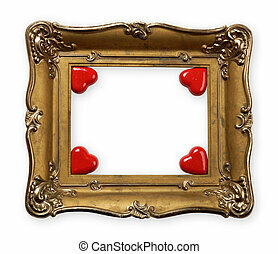 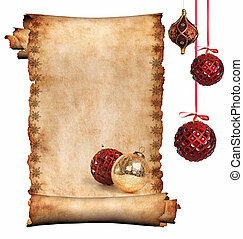 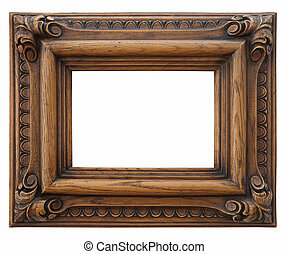 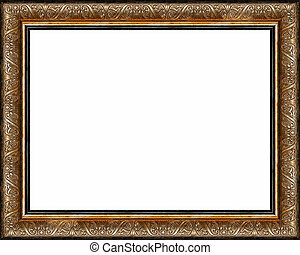 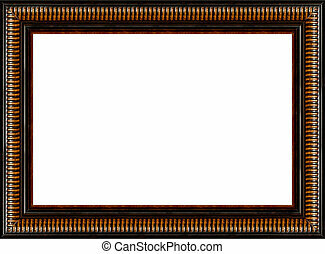 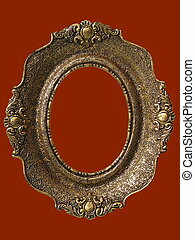 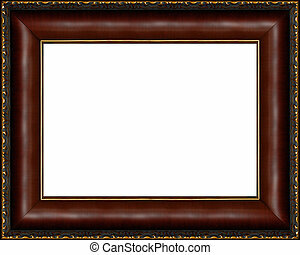 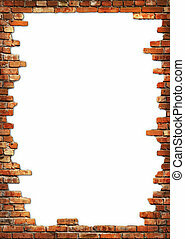 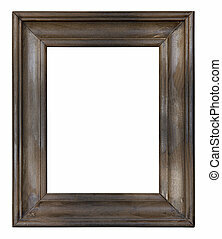 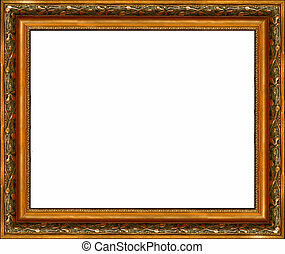 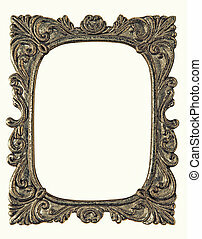 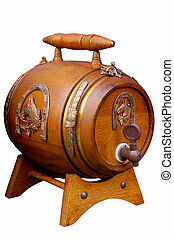 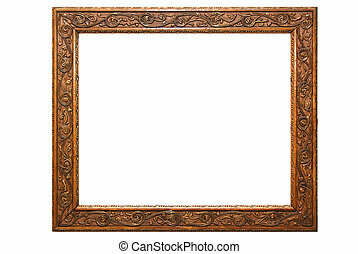 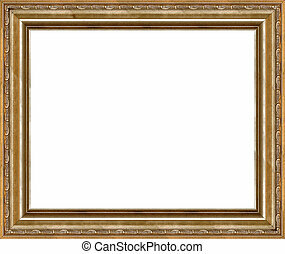 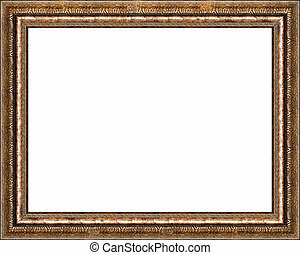 Old wooden picture frame isolated on white, with clipping path.